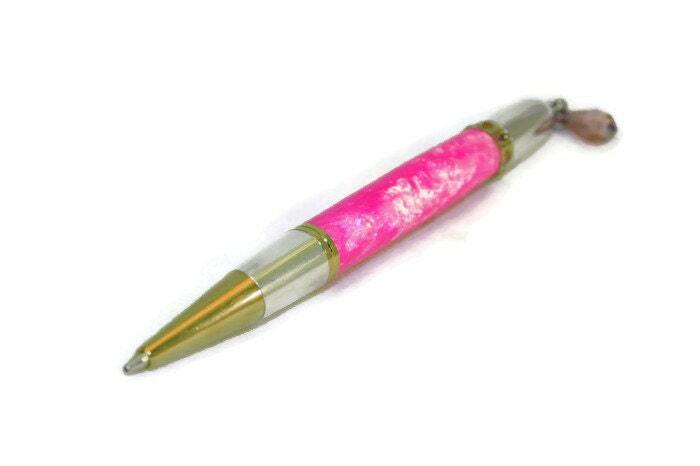 Hand Made Pink Pen with Pink Swarovski Crystal Charm. 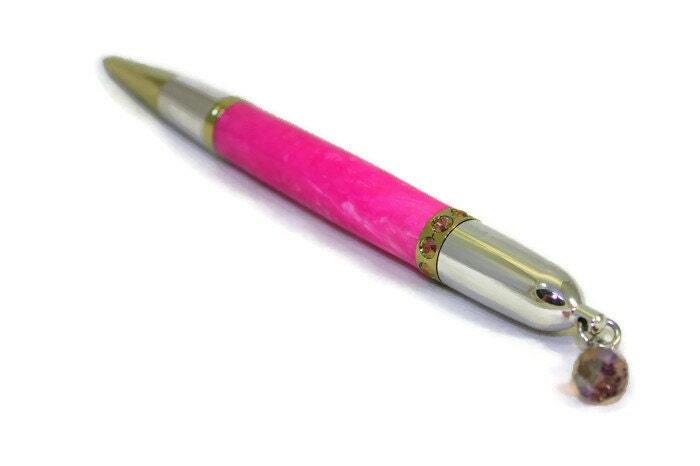 This elegant hand made acrylic ballpoint pen features genuine Swarovski crystals in the band and on the charm. The gold & rhodium fittings of this pen complement the acrylic perfectly. This would make an ideal gift for any lady. - Features a high quality, smooth twist action. - Decorated with attractive Swarovski Crystals & charm. - The pen takes a replaceable and readily available 'Parker' style refill. - The pen will come in a gift box. - overseas orders are generally delivered within 7-10 working days after postage, but, can sometimes take a little longer. I recommend that all buyers use the Shipping Upgrade Option to take advantage of the tracking facility provided by Royal Mail. Once an item is posted, I cannot be held responsible for any loss/damage/delays in post. I am happy to accept custom orders. 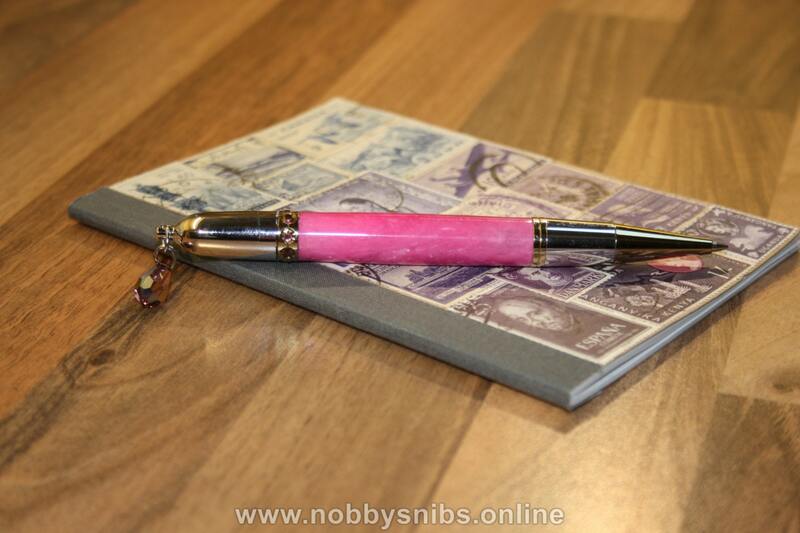 I keep a variety of timber on hand, so if you like these pens, but not this wood, why not have one specially made just for you in your own choice of timber? 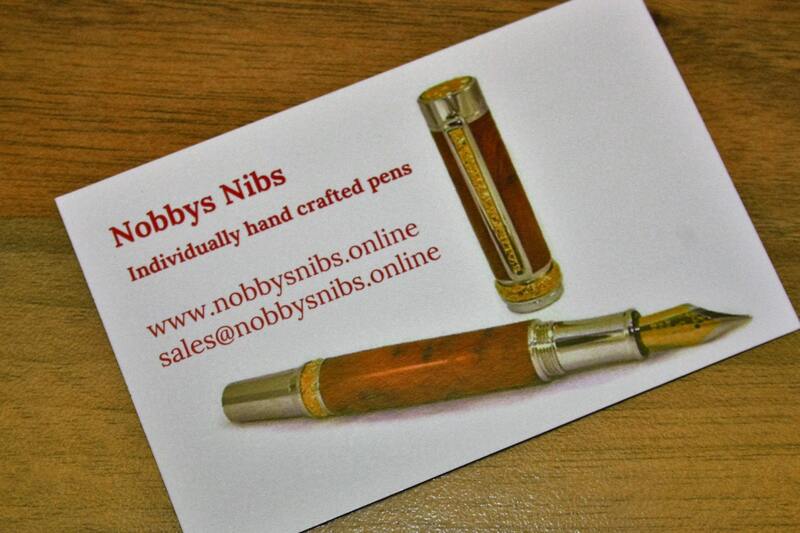 Or, perhaps you have your own special piece of wood that you'd like a pen or pencil made from? Feel free to get in touch with me to chat about your requirements.